We’ve teamed up with Pentair to offer our customers an exciting new service. If you have a requirement to support equipment such as air handling units, generators, piping or walkways particularly on roof tops, send us your requirements and we will, through Pentair, provide a technical drawing and a quote for the necessary components, custom lengths and support feet to construct the frame. All you then need to do is order the frame as quoted and we will provide all the components, support feet and cut lengths of channel from stock, ready for assembly on site. We can also offer the option of having the frame part assembled for even quicker installation. Because all the components in the frame are Pentair branded; Pentair will guarantee the design will meet your specification. It's finally here! Edition 22 of the Jack Pennington Ltd product guide! Apart from all the usual popular products and ranges, this new edition of our product guide has a brand new overhauled look and design to include more up to date products, technical detail, detailed photographs, coloured file dividers to help find products quicker and a handy pocket at the back to store notes or extra feature flyers of Jack Pennington Ltd's products and services. 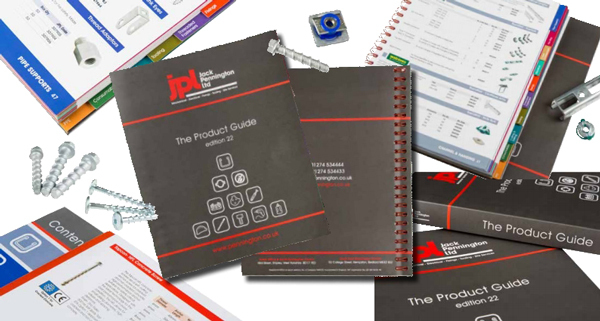 This new product guide had been designed in conjunction with our JPL Online App so that all the items featured within the pages can be viewed for price and availability in 'real time' online. A PDF version is available here on the website for download. Our JPL Mobile App is Live! 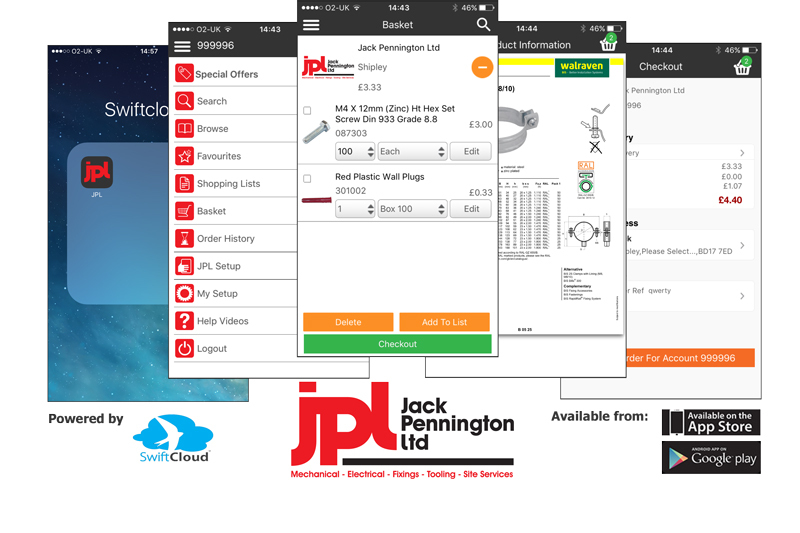 Here at Jack Pennington Ltd, we're delighted to introduce an exciting development that opens up our stock range, pricing and technical information to you using your desktop, smartphone or tablet, allowing you to place orders quickly on which ever platform you’re using. With many of our customers working away from a traditional desktop, be it on sites, in stores and on the road, we believe having access to our stock range, technical information and pricing on a mobile device will provide our customer with important information when they need it the most. The ability to place an order when needed, with the option to collect from us will save time and provide assurance that the products you need are available. Read more: Our JPL Mobile App is Live!